September 13, 2016 | ProgressTH For over a year now ProgressTH has been collaborating with Bangkok-based Queen Sirikit National Institute of Child Health (QSNICH) using 3D printing to prototype various solutions to problems nurses face on a day to day basis. We've created a cheap needle disposal system, a bed-leveling system, a blood clotting device, and a child-friendly dermatology tool. When last we delivered the final iteration of the dermatology tool, we noticed microscopes in the dermatology department's lab. 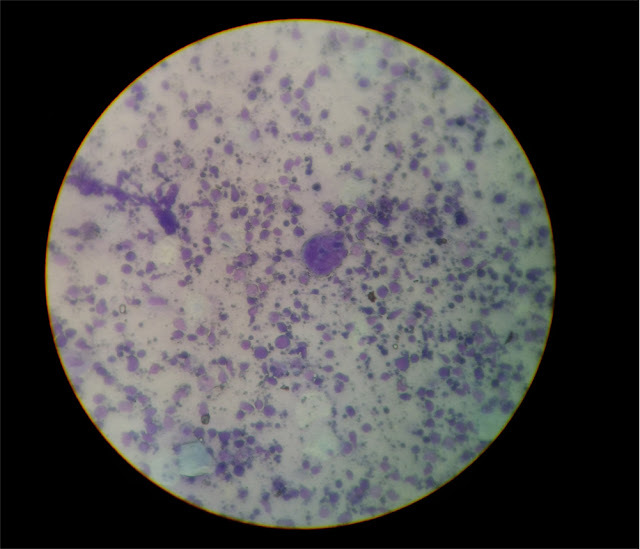 Currently, if technicians or doctors want to document anything using microscopy, they must use one of only a few DSL cameras and mounting systems on hand throughout the entire hospital. However, everyone has a smartphone with a camera which could be used as a handy and cheaper alternative, creating a file that is easier to share online with doctors, technicians, and students who are studying dermatology. 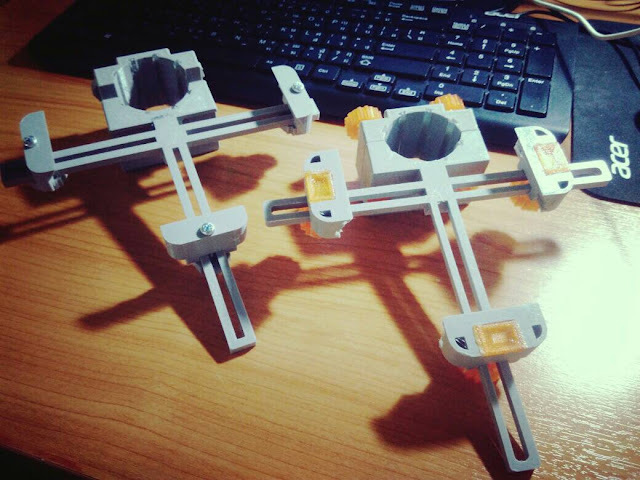 The online 3D model library Thingiverse already has quite a few universal smartphone microscope mounts. We downloaded one and modified it before printing out our own design. Large plastic knobs to make tightening the grips easier and tool-free. 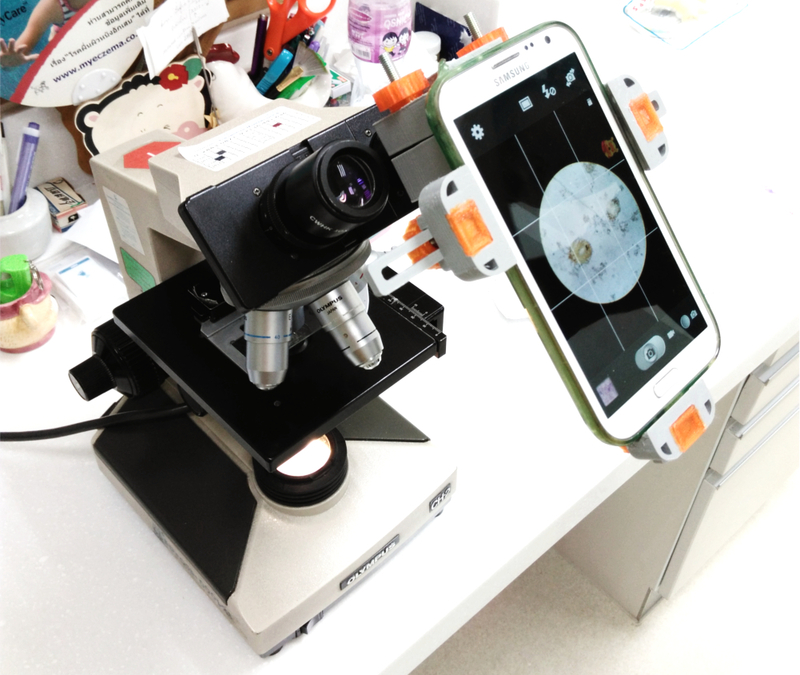 When we delivered the mount, the lab technician, P'Noi, immediately liked the fact that everything in the eyepiece was now on a large smartphone screen so that everyone in the room could see the specimens at the same time. This makes it easier when she is training others or discussing with doctors a patient's case. The ability to quickly download the design, modify it, print it, adjust it and print it again before delivering it all within 2 days is yet another example of how powerful 3D printing is for highly customized rapid prototyping and personal manufacturing. All the files for this project, including the SketchUp 2015 file we designed the modifications in are now available on Thingiverse here. If you need help exporting your SketchUp files as STL files for 3D printing, see our video tutorial on the subject. If you have an idea or would like to learn more about 3D printing, feel free to contact us. We offer workshops and 3D printing services, but also are interested in collaborating on interesting projects like the one we've been doing with QSNICH.